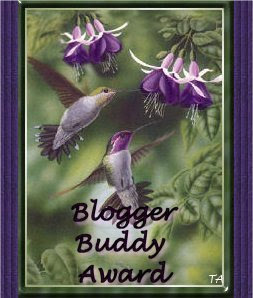 But before I start with my agenda of the day, let me post this award given to me by Cecile of Small and Simple Things! Appreciate the thought, Cel! Sa uulitin. So what am I up to today? C-H-O-R-E-S what else? I better get cracking before I get too lazy to get up from this couch! Jules, thanks for accepting and posting this award :-)! Yup, ako rin busy din eh, wala na minsan time mag visit :-(...sige lang, ito naman kasi ating number 1 responsibility di ba?